Willa, a young night-spirit, is her clan's best thief. She creeps into the cabins of the day-folk under cover of darkness and takes what they won't miss. It's dangerous work--the day-folk kill whatever they don't understand--but Willa will do anything to win the approval of the padaran, the charismatic leader of the Faeran people Move without a sound. Steal without a trace. Willa, a young night-spirit, is her clan's best thief. She creeps into the cabins of the day-folk under cover of darkness and takes what they won't miss. It's dangerous work--the day-folk kill whatever they don't understand--but Willa will do anything to win the approval of the padaran, the charismatic leader of the Faeran people. When Willa's curiosity leaves her hurt and stranded in the day-folk world, she calls upon the old powers of her beloved grandmother, and the unbreakable bonds of her forest allies, to escape. Only then does she begin to discover the shocking truth: that not all of her day-folk enemies are the same, and that the foundations of her own Faeran society are crumbling. What do you do when you realize that the society you were born and raised in is rife with evil? Do you raise your voice? Do you stand up against it? To ask other readers questions about Willa of the Wood, please sign up. Why do people rate books that haven't even come out yet? Goodreads, please disable the ability to rate upcoming books, please! What age group is this for? Thanks! The perfect mix of adventure, fantasy and excitement. This is my first Robert Beatty book to read; having heard of Serafina before of course, I’m yet to pick it up. I had zero expectations reading this book, and I was beyond pleased. 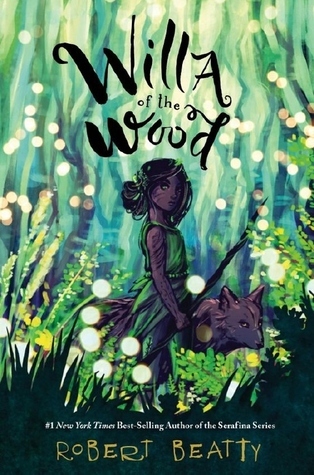 Willa of the Wood is an adventure filled middle-grade debut where nature is alive as it should, where a young brave and ambitious girl brims with the ancient powers of the forest. Light, fast pac Absolutely fantastic! Light, fast paced, exciting and filled with magic; this book had me pull an all-nighter which I didn’t do for a very, very long time. I couldn’t stop reading, I was devouring it from the very first page till the last one. It doesn’t take much time for the story to kick-start its gears, with the first words we jump right into the action and things unravel from this point forward. We meet young Willa who’s been raised in the mountains and who’s a tiny friend of nature. The story is very empowering, strong and has loud and clear messages to all the young-lings out there; be strong, fight for what you believe in, survive, love and accept yourself and protect the world around you. This was lovely. A girl that can intrinsically blend into her forest surroundings to see but not be seen. A different kind of Robin Hood story with a female protagonist and a great plot. She is Faeran and a thief…the best one of the forest people, the best one of her clan. Her leader has put all his trust in her. In groups, all the kids are trained to go hunting, raiding and looting for things on the other side. Her tribes people blend into their forest surroundings and raid the day folk, who fell trees to build their homes and make fires to keep them warm. The same ones that posess worldly treasures, jewelry and coins from distant places. At some point, Willa gets caught and she challenges her leader. She is ousted from the clan, strikes up a friendship with a day folk man who teaches her to read. Along the way, she finds kindness and humanity in a society that shares the same world as hers and is yet so different. One day, she stumbles upon a big secret of the Faeran. Something that has been hidden from the tribe’s people for a long time and that could expose the leader in the worst of ways. Something that explains her families’ tragic demise and shake the foundation of the tribe. Caught between her world and that of the day folk, Willa is desperately trying to tie it all together and do right. One thing is for sure, the Faeran people deserve the truth. This was such a magically wonderful book. When you are young, you are one with your environment and nature and the wonder never ceases. Willa and her tribe embody and cherish the natural world, the forest and the animals. A Native American (or native anywhere) quality comes to mind. This is perfectly portrayed in the characterization and history of Willa's people. Parallel to the Faeran tribes, the day folk resemble immigrants or settlers to this part of the world. They not only take what they need to survive, but create trade routes and smuggle goods. This not only would make a great novel to read for students, it is also just a great story of courage, trust and right from wrong. Simply darling. I loved it. This is the first book of the WILLA series, and I definitely want to read the next one. Not having been familiar with this author's other novels, I had zero expectations going into this, other than to have a great time. With the cute cover and fun sounding synopsis, I was sure, if nothing else, that was exactly what I was going to get. Can I just say that I love all the heart in this book? It was so much fun but it was so much more than just a good read. It has meaning and feeling. I loved the unexpected depth of Willa's love for her people and her woods. The setting was perfect and Not having been familiar with this author's other novels, I had zero expectations going into this, other than to have a great time. With the cute cover and fun sounding synopsis, I was sure, if nothing else, that was exactly what I was going to get. It was so much fun but it was so much more than just a good read. It has meaning and feeling. I loved the unexpected depth of Willa's love for her people and her woods. The setting was perfect and so picturesque that it felt like you were transported right into the very heart of Willa's story. I loved Willa's adventurous heart and her strong spirit. The twists were a nice surprise, in fact the whole story was a delightful surprise and one I'm so very glad I took the time to read. It truly makes me want to pick up the author's other work and check it out as well. 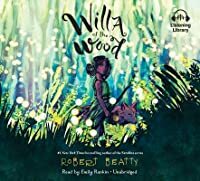 Willa of the Wood by Robert Beatty is a beautifuly written book that can reach a wide range of audiences. Avid upper elementary readers would be swept in by the engaging central character of Willa, as well as the magic that punctuates this story. Middle school, high school, and even adult readers would find similar positive connects to the narrative, as well. What is more, there is a sense of place that grounds this and the rest of this series. 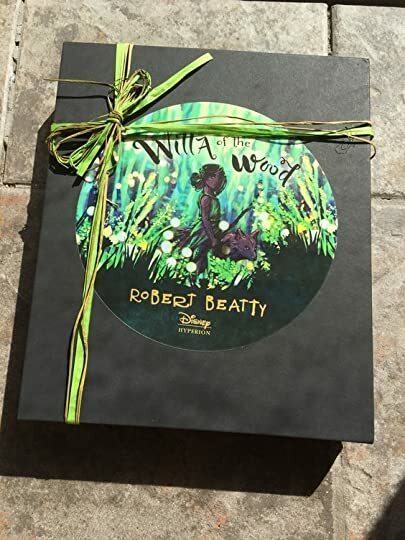 As someone who has spent time on at least three occa Willa of the Wood by Robert Beatty is a beautifuly written book that can reach a wide range of audiences. Avid upper elementary readers would be swept in by the engaging central character of Willa, as well as the magic that punctuates this story. Middle school, high school, and even adult readers would find similar positive connects to the narrative, as well. What is more, there is a sense of place that grounds this and the rest of this series. As someone who has spent time on at least three occasions exploring Asheville, North Carolina, and the Biltmore Estate, the book brought back memories of the grounds and the forest and mountains surrounding this area. Our review is up, now, at American Indians in Children's Literature. Our expertise is on depictions of Native peoples in children's and young adult literature. Jean Mendoza wrote the review. Our decision: We do not recommend Willa of the Wood. One of the themes here is assimilation vs cultural survival -- not of human societies but of a fantasy society the author calls the Faeran. They look kind of similar to humans, but have quills on their necks and sharp teeth. T Our review is up, now, at American Indians in Children's Literature. Our expertise is on depictions of Native peoples in children's and young adult literature. Jean Mendoza wrote the review. One of the themes here is assimilation vs cultural survival -- not of human societies but of a fantasy society the author calls the Faeran. They look kind of similar to humans, but have quills on their necks and sharp teeth. They have long kept their existence separate from humans, though the Cherokee supposedly know about them and tell stories of them "around their campfires at night." The Faeran have magical connections to nature. Or at least, they used to. Few of them still do when the story begins. The Faeran are governed by an autocrat who says they must use the "Eng-lish" language, for their own survival. (But if the Faeran must also hide their existence from humans, why would speaking English-only be an advantage?) This supposedly god-like charismatic leader is fascinated by humans' technology. He sends squads of teen and pre-teen Faeran to take things from the humans at night. He deals with dissent as power-hungry fearful dictators do. His mantra is "There is no I, only we." (That's what made me think of Anthem, Ayn Rand's teen-friendly allegory on the evils of cooperative societies in general.) To the Faeran, that means everyone must do what the leader wants. Willa soon runs afoul of him and finds herself homeless and on the run. Willa's grandmother ("Mamaw"), her last living relative, is murdered as the plot heats up. She has taught Willa her "wood witch" knowledge of magic, herb-lore, etc., setting the child apart from other Faeran as well as from the humans. She has also taught Willa the old language, in secret. It's part of their bond, so I wondered why Willa doesn't call her grandmother by a Faeran name instead of one that's used by real-life English-speaking humans. Some of the human characters in Willa are white-skinned invaders -- homesteaders and greedy, forest-killing loggers. The most sympathetic white character ("the man Nathaniel") becomes Willa's friend. The other whites are destroyers of the beloved trees. We eventually learn that Nathaniel was married to a Cherokee woman who has been killed. He believes their three children were also killed, but as Willa discovers, they were kidnapped by the Faeran. In some ways (which might or might not be intentional on Beatty's part), Faeran existence parallels the experience of those Cherokee who managed to remain on their ancestral homelands when the rest of their people were forced westward during Removal. Their land and places that were home are damaged by greedy, murderous invaders. They're under intense pressure to change in order to survive. But the book isn't about Cherokee life in the early 1900s. Not that Cherokees are erased in Willa. The word "Cherokee" appears more than 30 times. But the Cherokee Nation itself isn't mentioned -- not its existence or its history, including Removal (which in real life enabled people like Nathaniel and the tree-killers to do their things in the mountains). The Cherokee homelands are merely the setting for Faeran vs human and Faeran vs Faeran conflict. Some mentions of "Cherokee": Willa recalls that Mamaw told her of a "lake that the Cherokee called Atagahi". The Faeren are eager to have "Cherokee arrowheads" as tips for their spears. Willa visualizes "Cherokee farmers" and has seen them walking on the road and "trading peacefully with homesteaders." She sees a dozen "Cherokee families" fleeing some disaster, including one boy who "definitely wasn't from the same clan" as the others and who, the author hints, may not be a typical human (Willa thinks his scent is that of a mountain lion). She has overheard Cherokees and homesteaders telling stories of a black panther. She recognizes that the names on 4 grave markers are probably "Cherokee names," and she recalls that "most of the Cherokee" lived on the other side of a mountain that is important to the Faeran. The "Cherokee called it Kuwa'hi" and settlers called it Clingman's Dome. In his author's note, Beatty thanks three Eastern Band Cherokee people by name. All three are involved in preservation/renewal of the Cherokee language, and one is described as a storyteller. Beatty doesn't make clear how their "guidance and assistance" was useful in writing Willa. I think readers would benefit from knowing that. I recieved a copy of Willa of the Wood as part of the review team. Willa of the Wood wasn't only one of the best books I have ever read, but but one of the most meaningful. Willa is very determined to keep her wood safe. She loves the wood with all her heart, because it is one of her best friends. Willa ever since she was little she was taught to hate humans. They were cutting down the wood, her home. Soon Willa learned to love the thing she hated most. I would recommend this book to anyone who I recieved a copy of Willa of the Wood as part of the review team. It wasn’t for me but this book was very sad and atmospheric and could please other readers. This was a very enjoyable, entertaining book, and it gave me some serious nostalgia Fern Gully vibes. However, I felt like there were certain aspects missing that could've helped bring this book next level. The biggest being that I wish there was more world-building. That part of the book felt rushed. That said, Willa was a fantastically developed character. So brave and loyal and everything I like to see in a character. I also appreciated how dark this middle grade story was. There's death and This was a very enjoyable, entertaining book, and it gave me some serious nostalgia Fern Gully vibes. However, I felt like there were certain aspects missing that could've helped bring this book next level. The biggest being that I wish there was more world-building. That part of the book felt rushed. That said, Willa was a fantastically developed character. So brave and loyal and everything I like to see in a character. I also appreciated how dark this middle grade story was. There's death and pain and serious hardships that the characters have to overcome. When adding in the moral and environmental aspects, it made for a telling story. One that I'm happy exists for kids to read. I have too many angry thoughts about this book to think straight right now, so I'll be back. You can read my updates to get the flavor of my anger. I was approved for an eARC, via Netgalley, in return for an honest review. Fast paced. Loved the connection with family and tradition. Gave me Fern Gully vibes a bit too. Really enjoyed it. I was feeling down and looking for something fantastical and ethereal and my co-worker/friend lent me this ARC. I read it within a couple of days. It is an amazing tale of a creature that is tied to nature and lives a magical life of being able to communicate with and interact with the woods and all that live in it. However, this is not a sweet fairy tale. It is violent and brutal and cruel at times. I actually was a bit surprised that it was considered Juve because while I highly recommend this I was feeling down and looking for something fantastical and ethereal and my co-worker/friend lent me this ARC. I read it within a couple of days. It is an amazing tale of a creature that is tied to nature and lives a magical life of being able to communicate with and interact with the woods and all that live in it. However, this is not a sweet fairy tale. It is violent and brutal and cruel at times. I actually was a bit surprised that it was considered Juve because while I highly recommend this, I would definitely mention this to anyone purchasing it. That said, Willa is a delight. She is brave and charming and sparkly and I very much cared what happened to her. The story is action packed and centers around her making discoveries about her past, her family, and her family ties to witchcraft (woodwitches). There were so many amazing moments, from her talking to the trees that cradle her to sleep to her blending into the woods and becoming part of them to the descriptions of the Smokey Mountains and how they breathe life into the world with their morning fog. There are also strong themes of love and belonging that were incredibly moving and heartwarming without becoming cheesy . This is the kind of story that draws you in and holds you captive! It's the kind of story I would have loved as a youth. Willa loves the woods. She protects them from the humans even as she steals from them. That's how she survives. Raised to belief deeply in the magic and strength of the Smoky Mountains, her world is not flat, not round but mountains. The author has a magical style that draws you in and has you wondering about what people believe compared to what is. It's one of those books tha This is the kind of story that draws you in and holds you captive! It's the kind of story I would have loved as a youth. The author has a magical style that draws you in and has you wondering about what people believe compared to what is. It's one of those books that's beautiful in its ability to make you think. Willa grew-up believing one thing about her people and about the humans. But life isn't always what one has been taught. And figuring that out what it is really is the point of growing up. Willa is a well developed character with a deep love of the animals around her. She is compassionate and strong. A small woodpecker she helps and the wolves who help her are put a small example of her adventures. But it is strangers coming together that really makes this story come alive. A magical journey to see that others have a different (not bad) way of doing things. As the twists and turns of this one conclude, it's been a satisfying journey. I haven't read this author before so I didn't have any expectations. I'm glad I took the time to check it out and enjoy the magic in it's pages. It's definitely a good one for middle grade but could be enjoyed by all ages. Thanks to Netgalley for an ARC of this book. If you loved Serafina, you will love Willa. Not as scary as the Serafina series but just as interesting and intense. Can't wait to get my hands on a hardback of this and share it with students at school! I received a copy of this book for an early review. I really enjoyed this book. I really like how Willa is a very strong, and brave girl even through the tough times. I think that Willa is a very inspirational character all throughout the book, from start to finish. This book will make you hungry for more!! loved it it ends happy but is sad throughout the rest !!!!!!!!!!!!!!!!!!!!!!!!!!!!!!!!!!!!!!!!!!!!!!!!!!!!!!!!!!!!!!!!!!!!!!!!!!!!!!!!!!!!!!!!!!!!!!!!!!!!!!!!!!!!!!!!!!!!!!!!!!!!!!!!!!!!!!!!!!!!!!!!!!!!!!!!!!!!!!!!!!!!!!!!!!!!!!!!!!!!!!!!!!!!!!!!!!!!!!!!!!!!!!!!!!!!!!!!!!!!!!!!!!!!!!!!!!!!!!!!!!!!!!!!!!!!!!!!!!!!!!!!!!!!!!!!!!!!!!!!!!!!!!!! I received an advance proof of Willa of the Wood. A phenomenal book, Willa of the Wood has deep characters, a complex plot, and a mysterious world that has us all gripped at the first pages. This thrilling book gives readers an inside look at a unique girl that has a few tricks up her sleeves. We see how strangers can become family, an underdog can rise, and how the truth always prevails. Other than some grammatical errors that can be fixed quickly, this magical book ranks up top with the Harry P I received an advance proof of Willa of the Wood. I received a Digital Review Copy of this book from Disney Hyperion and NetGalley in exchange for an honest review. Reader, they had me at river otters. Willa of the Wood is the engaging story of a young girl possessed of forest magic. Like so much of what Robert Beatty has given us in the past, this heroine is a source of hope and inspiration, set in an atmosphere of mystery, wonder, and strife. This is a book for children growing up in our present day, in which children are encouraged to question I received a Digital Review Copy of this book from Disney Hyperion and NetGalley in exchange for an honest review. Willa of the Wood is the engaging story of a young girl possessed of forest magic. Like so much of what Robert Beatty has given us in the past, this heroine is a source of hope and inspiration, set in an atmosphere of mystery, wonder, and strife. This is a book for children growing up in our present day, in which children are encouraged to question social order and norms and come to their own conclusions about what is good and right and fair. Is hatred of others or of the different ever the right path? Willa learns to question this thought. A wonderful children's story with a sense of suspense, this was a delightful read. Plus, OTTERS! I loved this author so much! He always brings so much emotions in his books and Willa of The Wood is no exception. How Willa loves and cares for everyone is adoring. I love how the characters struggle and fight for family. This is really amazing book. Willa thieves for the clang and gets caught by Nathaniel a day folk. She's shot and runs back home. The saddest part was when Willa's grandmother passes away who is her last family member but that happens later. Her mother, f I loved this author so much! He always brings so much emotions in his books and Willa of The Wood is no exception. How Willa loves and cares for everyone is adoring. I love how the characters struggle and fight for family. This is really amazing book. Willa of the Wood is the first book by Robert Beatty that I’ve read, though I think I own two of his other books. Judging from the writing style, I really want to read more. I liked the way the scenery seemed to come alive and the deep emotions Willa feels through the story—her longing for companions and her internal wrestling over the wrongness of what her tribe has asked her to do. One of the most powerful characters is Willa’s grandmother. 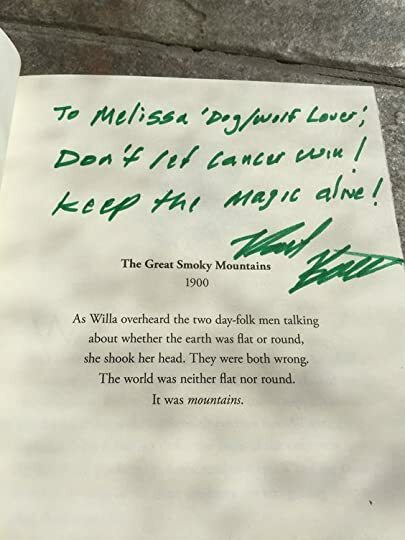 Even though she can’t walk, she has this powerful pres Willa of the Wood is the first book by Robert Beatty that I’ve read, though I think I own two of his other books. Judging from the writing style, I really want to read more. I liked the way the scenery seemed to come alive and the deep emotions Willa feels through the story—her longing for companions and her internal wrestling over the wrongness of what her tribe has asked her to do. One of the most powerful characters is Willa’s grandmother. Even though she can’t walk, she has this powerful presence and a fierce love for Willa and the goodness of the old Faeran ways. It’s this love and wisdom that Willa carries which gets pitted against the fears of her people, and Willa has to decide which way is right—being governed by that fear and allowing it to rule her actions, or daring to love not only her tribe members, but those very different from her, too. I loved the theme of family and adoption in the story, too. Willa feels like an outsider among her Faeran tribe members, and she desperately wants to have meaningful, lasting connections with others. Her journey to find a community where she belongs totally resonated with me. I loved this. Robert Beatty is truly proving himself to be an amazing middle grade author. I loved Serafina. And I had high hopes for Willa. I was not disappointed. I immediately got lost in this beautiful forest of the Great Smoky Mountains, again. I could not put this book down. There’s something magical about this author’s writing style. He just pulls you in and refuses to let you go. Willa wasn’t as instantly loveable as Serafina. I came to love her over time. But, her heart is just as big and her bravery just as strong. Beatty knows how to write girls who belong in Gryffindor. That being said, my heart was always pounding. There’s always some kind of danger coming and it was never easy to stop reading. The setting was everything. I loved that the forest became its own character. The trees were alive. The animals and creatures had their own system of respect and love. I was fascinated by the wolves who helped her and the bears with their secret healing water. There may have even been a cameo or two of a certain wildcat. And I loved that too. I also could not help myself from making current day connections. I was reading about Willa discovering human children in cages around the same time I was getting news of immigrant children being separated from their parents and placed in cages of their own. It’s eerie how related this book is to current events. Willa was brought up not to question her leader or her “pack.” She was brought up to fear humans because they killed whatever they did not understand, including her parents and twin sister. Yet, something bothered her about this treatment of children. Despite a lifetime of teachings, she knew this was wrong. There’s always a little darkness to Beatty’s books. The first Serafina book involved the kidnapping and possible murders of children. This one has its own darkness. One that revolves around hurting and starving innocent children. Of course, Willa has to go against her people, her leader, and everything she was taught to believe to do what’s right. This book is loaded with kid power. It’s also about Willa connecting with a family that is not hers by blood. She goes back to the humans she steals from in the beginning. She saw compassion in the eyes of her attacker, and grew to love an unlikely family. And that’s a powerful message too. Willa learns to see good in everyone. Not all humans are the same. Everyone has at least a little good in them. I received my Willa of the Wood copy as part of the early review team for Robert Beaty. I began reading the book intently trying to dive right into the story line...as the story begins we meet this brand new character Willa, and she’s a little fireball...brave, and fearless, she conquers what she goes after! The novel twist and turns and we realize she is not what we first thought...and the mystery keeps unfolding, the events that move us through the storyline are breath taking and surprising... I received my Willa of the Wood copy as part of the early review team for Robert Beaty. I began reading the book intently trying to dive right into the story line...as the story begins we meet this brand new character Willa, and she’s a little fireball...brave, and fearless, she conquers what she goes after! The novel twist and turns and we realize she is not what we first thought...and the mystery keeps unfolding, the events that move us through the storyline are breath taking and surprising...however as you near the end of the book, you find that you cannot turn the pages fast enough...the story is beyond your wildest dreams. My Review: The beginning of the novel left me stunned at this new character and how surprisingly different she was from everything I had read about, she became a very different type of hero than I had expected but one I quickly wanted to support! The novel moves at a very nice pace at the beginning of the novel steady enough to get the idea...but fast enough to keep your attention...the middle of the book slows down quite a bit to allow you time to process a great wealth of information, which is very important to the final chapters, and then the climax and conclusion are riveting with the novel pressed firmly against your nose you will begin to turn the pages faster and faster until The End....I’m hoping that there will be a second book, because the ending left me wanting to know much more about Willa! this book is very unique and one that I highly recommend! And if you like it check out Robert Beauty’s other series: Serafina. I read an advance proof of this book. I loved it! Parts of it reminded me of Tolkien ("The Hobbit"). Willa's connection with and defense of nature as well as her ability to harness its power made for a very compelling, suspenseful story. Books like this are essential in a country where our leaders deny climate change and seem determined to dismantle all of our environmental protections.